UCLB is delighted to supported its staff members who raise money for charity. 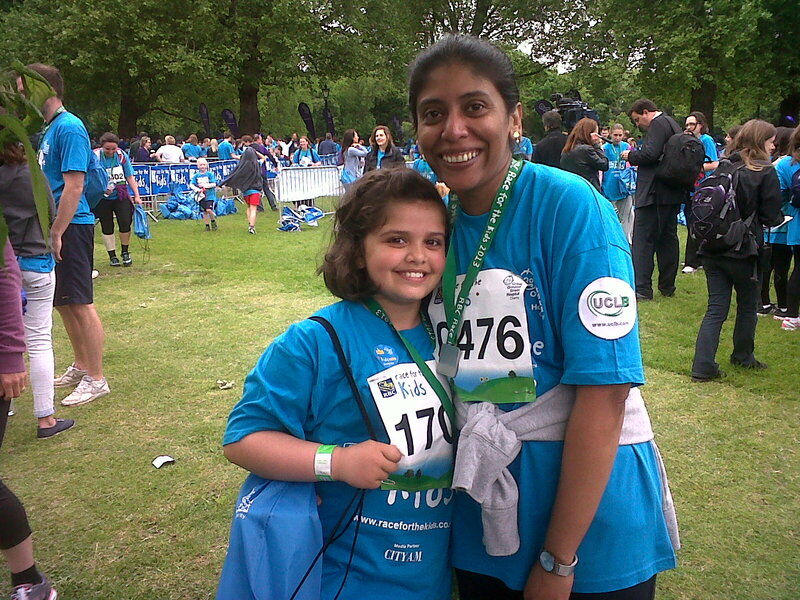 Rebecca Paulraj and her daughter Ria took part in the 5K RBC Race for Kids in aid of Great Ormond Street Hospital Charity on Sunday, 9th June 2013. Ria and Rebecca raised a total of £385 in sponsorship to support the work of the charity.